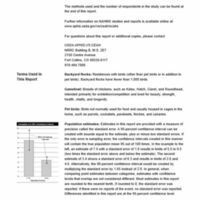 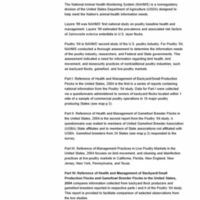 For Poultry ’04, NAHMS conducted a thorough assessment to determine the information needs of the poultry industry, researchers, and Federal and State governments. 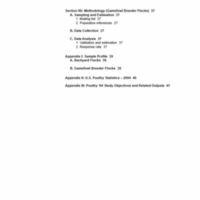 This assessment indicated a need for information regarding bird health, bird movement, and biosecurity practices of nontraditional poultry industries, such as backyard flocks, gamefowl, and live-poultry markets. 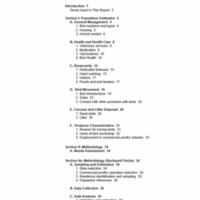 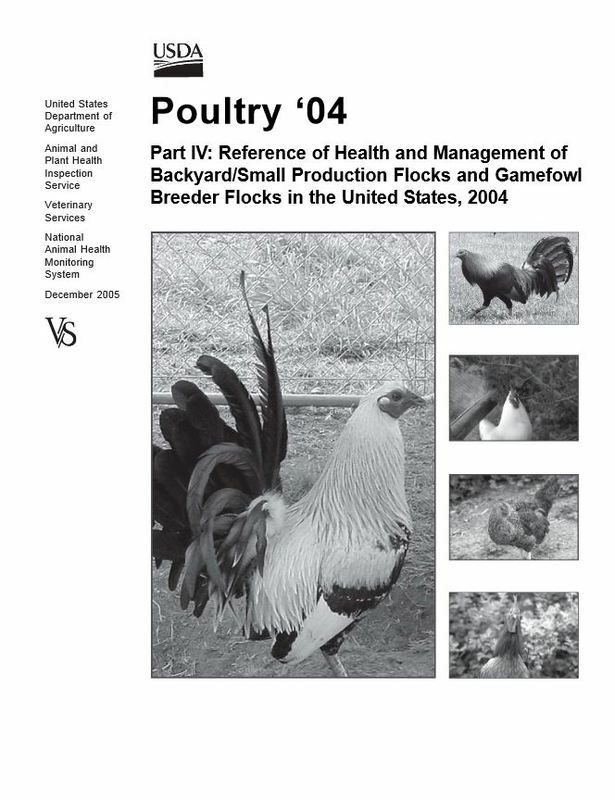 Part IV: Reference of Health and Management of Backyard/Small Production Flocks and Gamefowl Breeder Flocks in the United States, 2004 compares information collected from backyard flock producers and gamefowl breeders reported in respective parts I and II of the Poultry ’04 study.